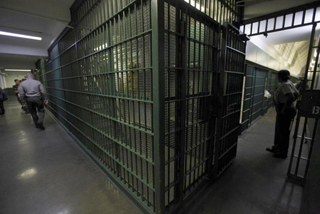 The U.S. Justice Department reached a settlement agreement with Los Angeles County and its sheriff's department to protect prisoners from suicide risks and excessive force in the nation’s largest jail system, it was announced this week. Under the terms of the settlement, an independent monitor and a team of mental health and corrections experts will oversee the implementation of the reforms, which will be enforced by a federal judge in Los Angeles. The settlement resolves nearly 20-year-old claims stemming from the Justice Department’s initial civil investigation into mental health care at the jails, which found a pattern of constitutionally deficient mental health care for prisoners, including inadequate suicide prevention practices. In addition, the agreement includes remedial measures to address a separate civil investigation into use of force by staff at the jails. Sheriff Jim McDonnell said the department has already begun overhauling its policies and practices on use of force and dealing with mentally ill prisoners, and the settlement will build on those improvements. The agreement “commits to developing and implementing emerging best practices regarding humane treatment of mentally ill inmates,” McDonnell said. • an ongoing commitment to evaluate use-of-force incidents, ensuring individual and organizational accountability to ensure the highest standards of ethical conduct in the jails. On any given day, Los Angeles County jails house and treat an average of 3,500 to 4,000 mentally ill inmates — more than the number of patients managed in the entire California State Hospital system, McDonnell said. “Yet our jails are neither staffed nor designed for the therapeutic care or treatment these inmates need and deserve,” he said. The problems are not new. The DOJ’s initial 1996 civil rights probe of the system found constitutional deficiencies in mental health care, suicide prevention and the use of excessive force against prisoners with mental illness. In 2002, the department entered into a memorandum of agreement with the county and the sheriff to address those concerns. However, despite some progress, federal officials concluded in 2014 that the jails were failing to provide adequate mental health care, including suicide prevention, and that conditions under which prisoners with mental illness were housed exacerbated the risk of suicide. In addition, two years ago, the DOJ initiated a separate civil investigation into allegations of use of excessive force by jails staff. While that investigation was ongoing, the county and sheriff settled the Rosas v. McDonnell class-action lawsuit, which alleged excessive force by jails deputies in three downtown facilities. The Rosas reforms, announced last year, include significant revisions to use-of-force policies, with added protections for use of force against prisoners with mental illness; enhanced training for custody and mental health staff; enhanced data collection and analysis; new accountability measures, including use-of-force reporting, use-of-force reviews and discipline; and enhanced grievance procedures. The new settlement agreement incorporates the reforms in Rosas and extends them to all jail facilities to cover prisoners throughout the jails system. “This historic settlement represents a renewed commitment by the county and Sheriff McDonnell to provide constitutionally adequate care for prisoners with serious mental illness,” said Deputy Assistant Attorney General Mark Kappelhoff. The cost of not having “institutionalized” previous recommendations to overhaul policies and procedures at the jails “has been enormous to the county,” U.S. Attorney Eileen Decker said, referring to various lawsuits, investigations and settlements. “Numerous events,” including federal criminal prosecutions of jail deputies, “indicated to us that action was needed,” she said. Former Undersheriff Paul Tan­aka and an ex-sheriff's captain are currently facing federal obstruction of justice charges stemming from their alleged roles in an attempt to derail an FBI probe into the abuse of inmates by guards. Seven former sheriff's department officials — including two lieutenants and two sergeants — were convicted in 2014 for their roles in the cover-up. Nearly four years ago, the Los Angeles County Board of Super­visors created the Citizens' Com­mission on Jail Violence, a panel — whose membership included McDonnell — which examined alleged brutality by deputies in the jail. The commission’s scathing report recommended more than 60 reforms. All of them have been enacted, including the creation of the Office of Inspector General. Earlier this year, supervisors approved the creation of a Civilian Oversight Commission for the Sheriff’s Department to provide community members with a voice and help restore public confidence in the department. In coming weeks, the board is expected to weigh a series of recent recommendations for the commission’s structure. During the past two fiscal years, the board has allocated more than $200 million in new annual funding for systemic reforms in the jail system and alternatives to custody. “You cannot put a price on humane treatment,” McDonnell said.